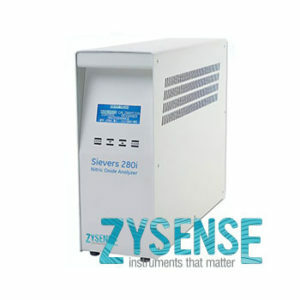 Zysense’s NOA 280i is unique highly precise instrument in healthcare and specialty gas measurement applications. NOA 280i is the equipment of choice for reliable, reproducible, and robust measurement of nitric oxide in blood, plasma, gases, cell cultures, and other applications. The exhaled nasal application has been used by researchers to diagnose asthma, primary ciliary diskensia, efficacy of vasodialators, neo-natal research, wound care, and many more. as well as in progressing nutraceutical research into nitric-oxide-producing supplements such as beet and spinach juice. It is the global leader in precise nitric oxide measurement and has been used by over 1000 leading hospitals and research institutions around the world.